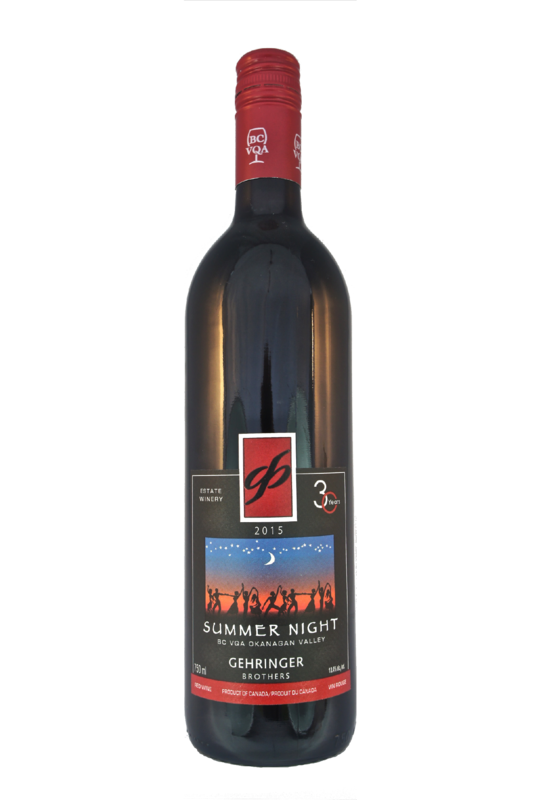 This light and mellow red, communicates the warmth of summer’s night. 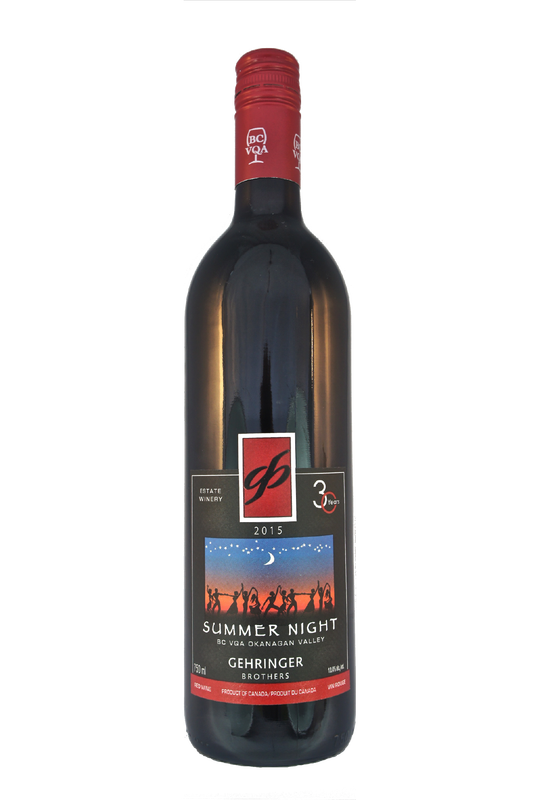 A blend of Pinot Noir, Cabernet Franc and Merlot, it delivers enjoyable aromas of strawberry, plum and spice. Excellent with breads, grilled meats, pastas and cheeses.